The former head of a major Vietnamese bank has been sentenced to death for his role in a fraud case involving millions of dollars of illegal loans. Nguyen Xuan Son, who served as general director of OceanBank, was convicted of embezzlement, abuse of power and economic mismanagement. 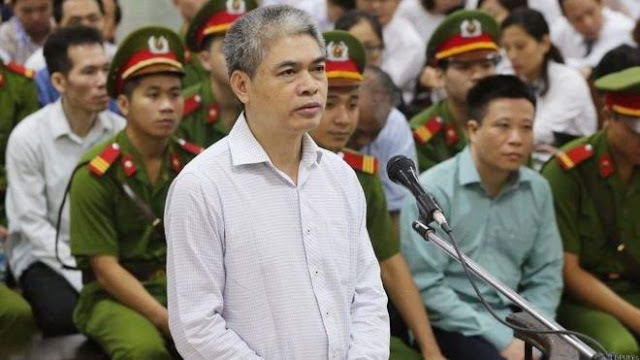 Vietnam is one of the world's biggest executioners, according to Amnesty International, but this is believed to be the first time in years that the death penalty has been given to such a high-flying former official. Earlier in the day, the bank's ex-chairman Ha Van Tham, once one of the richest people in Vietnam, was jailed for life on the same charges, and for violating lending rules. Judge Truong Viet Toan said: "Tham and Son's behaviour is very serious, infringing on the management of state assets and causing public grievances, which requires strict punishment."